Engines and tools related to sound. SoundTouch is a port of the SoundTouch sound processing library. The library allows real-time processing of audio in Flash 10. It includes filters that perform time compression/expansion and rate transposition…. AS3 library for visualizing audio in Flash Player 10. 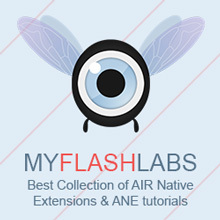 Audiophile is an AS3 library for generating dynamic audio in Flash Player 10.